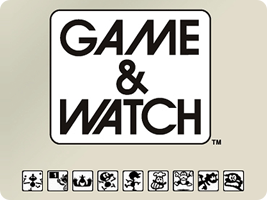 Nintendo's Game & Watch games were the first portable, LCD videogames on the market, and hugely successful throughout the 1980s. Over the years, Nintendo has revisited its classic Game & Watch titles through a number of compilations. Some feature updated graphics and music, while some try to capture the exact look and feel of the original machines.